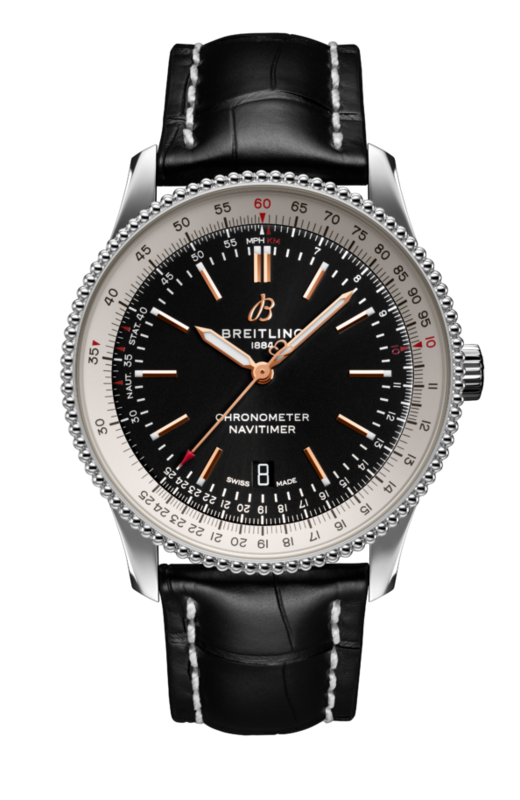 The new Breitling Navitimer 1 Automatic 41 effortlessly blends some of the features of the brand’s most celebrated watch family with an understated design that makes it an instant classic in its own right. 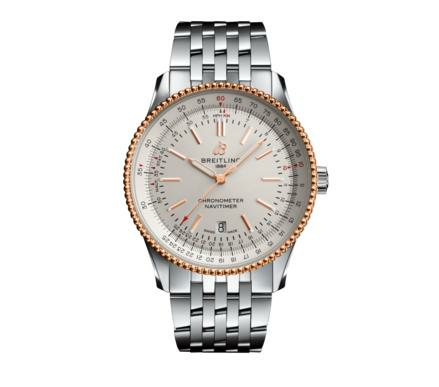 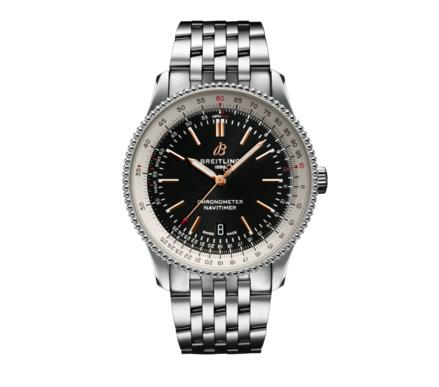 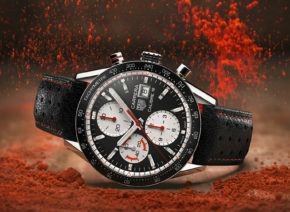 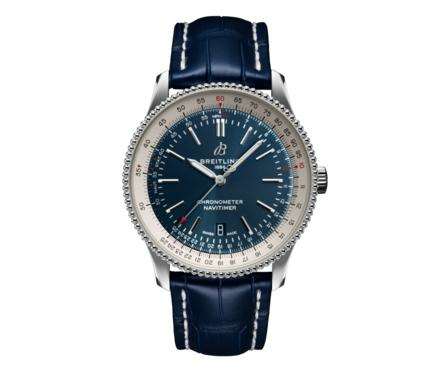 With Breitling’s familiar circular slide rule and distinctive beaded and ratcheted bidirectional bezel, a 41-millimeter stainless-steel case, and a clean three-hand dial, the Navitimer 1 Automatic 41 is a stylish complement to any wardrobe. 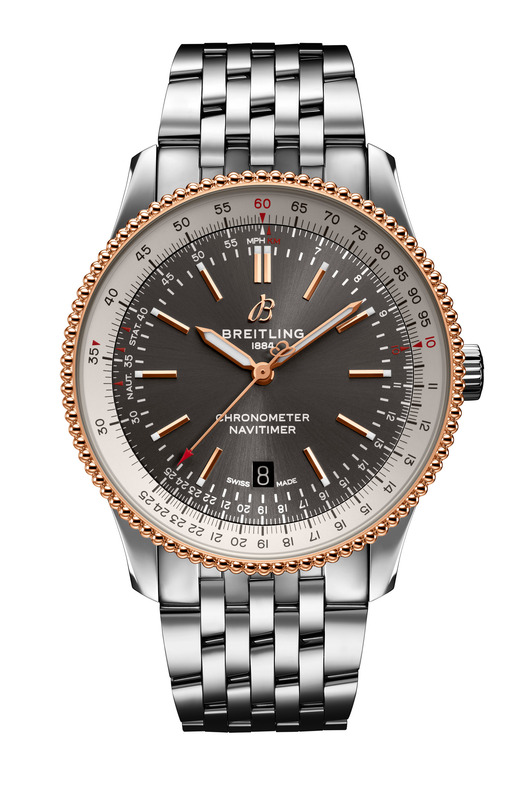 The Navitimer 1 Automatic 41 is powered by the Breitling Caliber 17, an automatic movement with a power reserve of approximately 38 hours. 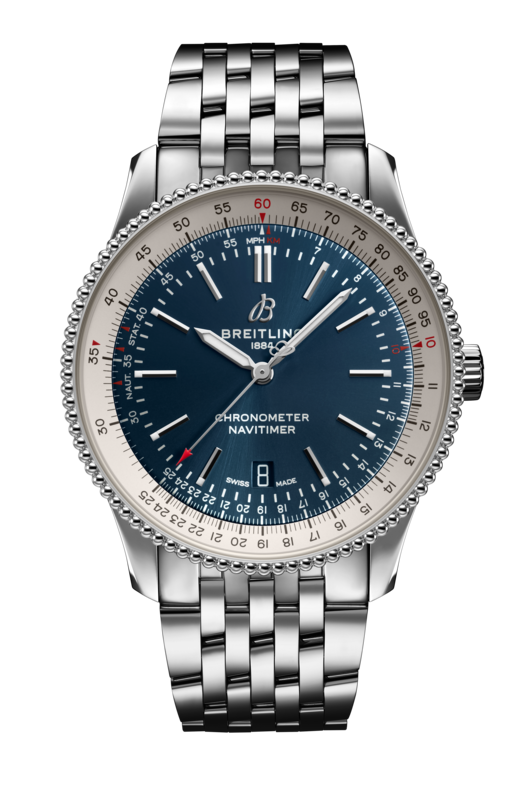 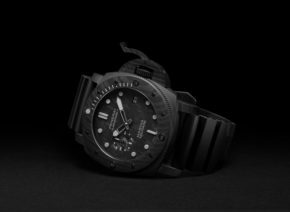 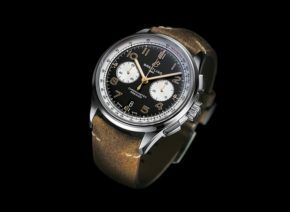 Like all Breitling watches, they are COSC-certified chronometers: this independent verification is a guarantee of their accuracy and reliability. 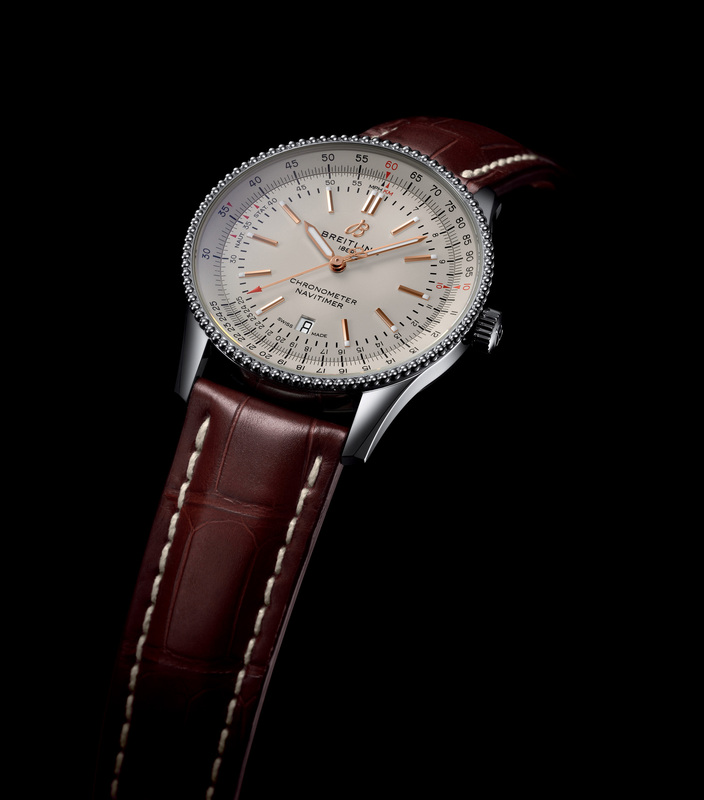 Each Navitimer 1 Automatic 41 is water-resistant to 3 bar (30 meters/100 feet).